A new Cabeza de Vaca show already at Scanner FM!!! This week a short interview backstage of BeCool with Scott Monteith aka Deadbeat and Danuel Tate aka Danuel Tate. 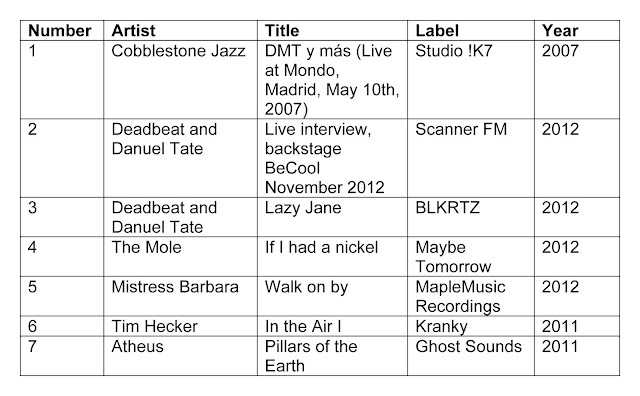 The focus on the interview is on playing live and a little at the end on being Canadian since the rest of the show is some newish Canadian music and also the show was to celebrate the new Micro Mutek line-up which is partially announced. More details can be found at the Official Mutek Site. Click here for a partial transcript of the interview. “Q: You made the move from using a laptop at first on this project, then on to a completely analogue set-up, right? Why? What is the appeal? I also mention a few comments from the recent Critics Round Table podcast with guest Kirk Degiorgio who mentions something that Scott interprets to be Alexkid’s Insta-Haus a Max for Ableton device while one of the other journalists enthuses over the recent set of Bass Clef at The Wire Magazine’s recent Rewired night at the Royal Albert Hall in London. There are several contradictions here, rightly pointed out by Scottt and Danuel all to do with the technology fetish. Bass Clef plays without a computer and it is credited as amazing when many groups made electronic music for many years with no computers. Similarly, Blawan’s comments come across as somewhat extreme too, ditching the computer for lack of creative potential when it is likely that it is his use of the computer that has become static. However, the other side of this is that the analogue machines these people use are essentially “stupid computers” as Scott says. So what is the difference? Alexkid shows here how his Insta-Haus set up for Ableton works and indeed it seems quite a simple set-up but one could easily find limiting creativity at a certain point. However, it may be that Kirk Degiorgio was also talking about something like this Vintage House Construction Kit which has helped all the Rush Hour et al. artists to sound the way they do. I am most definitely not familiar enough with the technology to know its limitations and how it really works, but having thought more about it in the interview, it does seem true that the man vs machine debate is far from over, but it nonetheless has been a hot topic in 2012 especially after Deadmau5’s comments earlier in the year in Rolling Stone about pressing play. 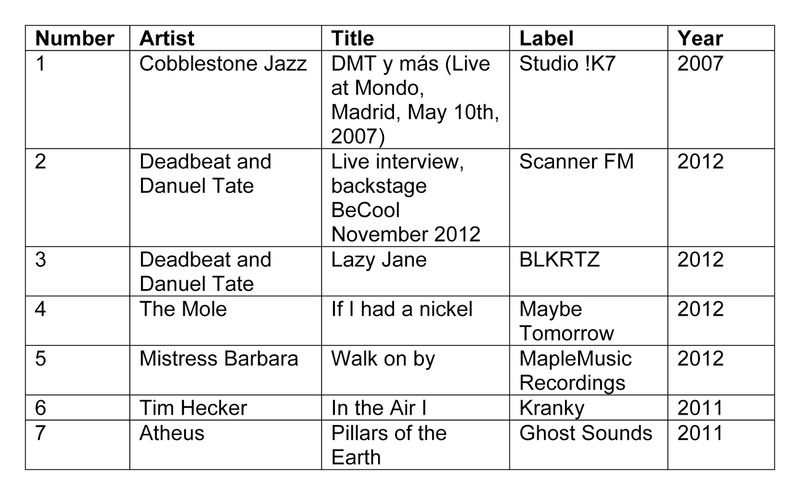 Scott and Danuel also talk about the Pure Data (PD) visual programming language developed by Miller Puckette for making music. Peter Brinkmann has also been credited with bringing PD to Android devices that I also do not fully understand, but it is perhaps these kind of things that Scott was saying that Mathias Aguayo was using?